Theologian Chuck DeGroat shows how our wilderness journey helps us face our fears, receive our new identity, experience transformation, and live into our newfound freedom. The Exodus story is your story. The Israelites' liberation from Egypt and journey to the promised land is one the Bible's most compelling narratives. But the Exodus isn't just a long-ago Bible story. We each find ourselves enslaved: to work, to destructive relationships, to food, to spending . . . but beyond our personal Egypt lies God's promised land. 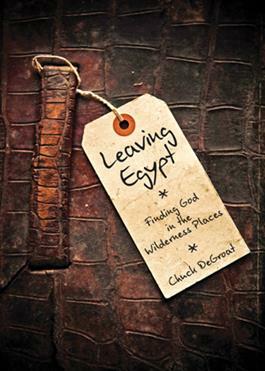 Chuck DeGroat shows how our wilderness journey helps us face ourfears, receive our new identity, experience transformation, and live intoour newfound freedom. Discussion questions follow each chapter.